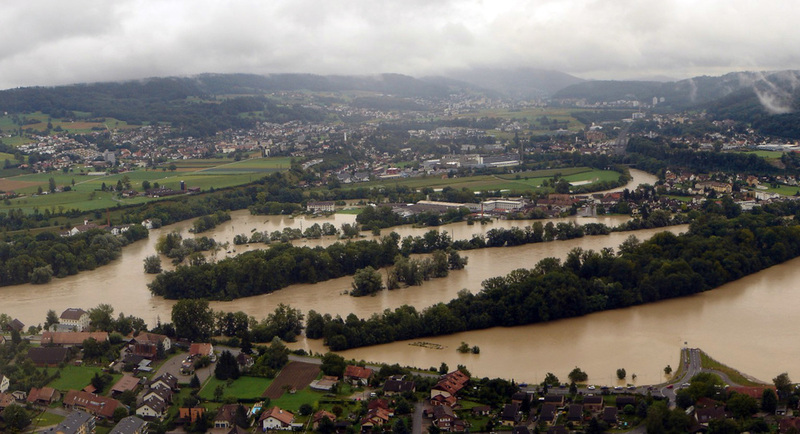 The “Wasserschloss” (the confluence of the rivers Aare, Reuss and Limmat in the Canton of Aargau) during the flood of August 2007.
why is switzerland at risk from flooding? The Aare River Basin, northern Switzerland. Draw a simple sketch map of the Aare river basin. Describe the Aare's course, naming major cities. Highlight causes and effects using two different colours. Transfer these to a grid in your book, separating natural and human causes and consequences. Use this information to write an answer to the exam question below. Identify two transfers and two stores shown in the diagram. 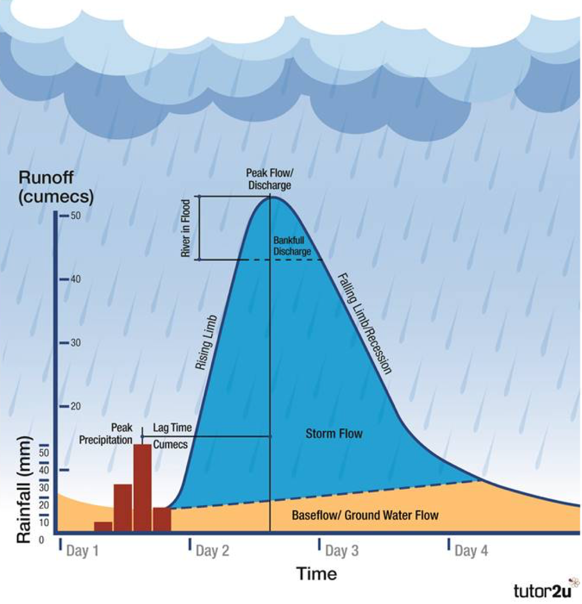 Explain three ways in which human activity can reduce the time taken for water to pass through the system. Brainstorm ways that rivers can be modified to reduce the risk of flooding. Each person in the same group watches the same video. Work together to complete the grid, using the video and the second sheet to help you. Agree on the most important information to share.